If you were to do a cocktail crawl in Boston, the Fenway Kenmore neighborhood is actually a great place to do it, due to the concentration of good cocktail spots in close vicinity to each other. 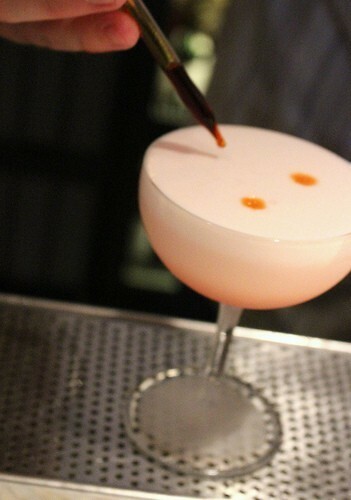 Drink at one of these spots next time you're in the neighborhood - or just go to all of them! Owned by Jackson Cannon and currently managed by Jared Sadoian, The Hawthorne is the cocktail lounge to go to in Boston when you want to feel fancy in a quieter spot with excellent drinks. Their oft-changing cocktail menu features well thought out classic variations. For a more casual vibe, visit them on Swizzle Sundays on the patio. Boston-based scientist by day. Started my blog, gourmetpigs.blogspot.com in 2007, and have been exploring the world of food and drinks ever since.